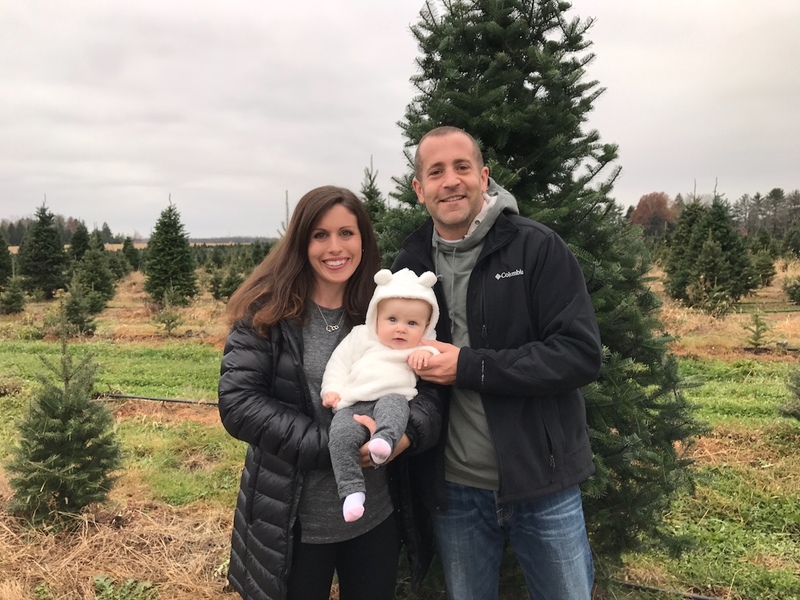 The demand for our Christmas trees is growing faster than they are! 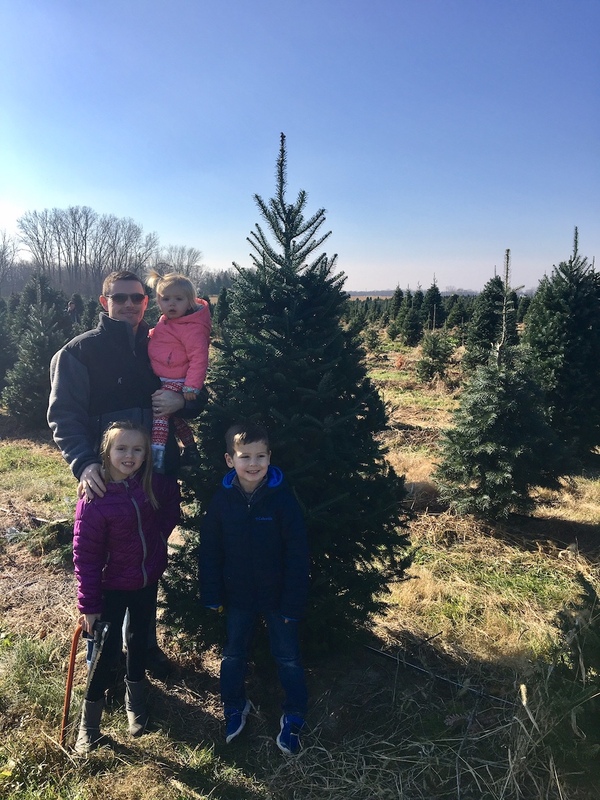 We are nearly sold out of this year’s crop due to two years of great weather, and an amazing influx of new customers after the closing of other local cut-your-own tree farms. Sunday December 9 will be our last day of official sales this year. 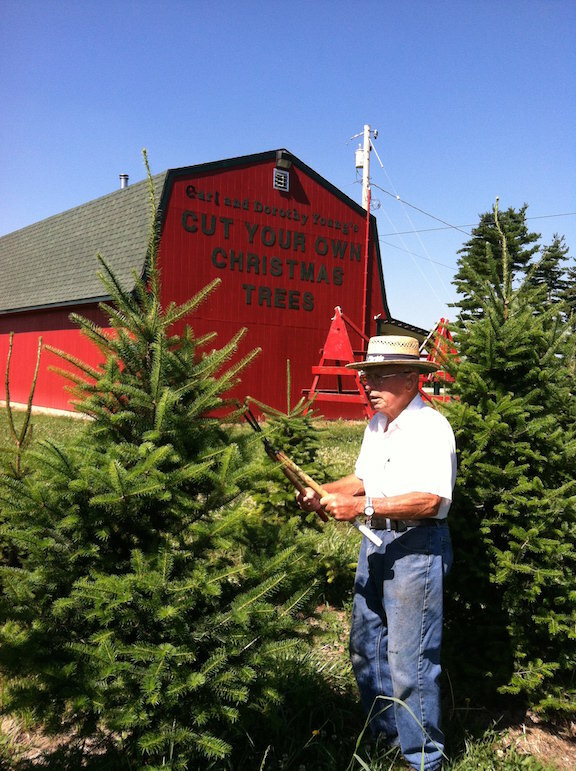 Carl Young has spent a lifetime growing trees and family businesses. In addition to founding Young’s Jersey Dairy with his brothers Bob and Bill, he and his wife Dorothy went on to operate Stockdale’s and Stockbarn restaurants in Springfield, Ohio for many years. In the early 1980’s, Carl and Dorothy began planting Christmas trees on their Black Walnut Plantation, located east of Springfield. In 1985, they went on to establish Carl and Dorothy Young’s Cut Your Own Christmas Trees just south of the dairy farm. The first planting of White Pine, Scotch Pine and Norway Spruce consisted of just 1500 trees. The farm has gradually expanded over the years and now features Canann Fir, Douglas Fir, Concolor Fir, Blue Spruce, Serbian Spruce, Black Hills Spruce along with the original Pines. Today Carl has over 27,000 trees, which are supported by a modern drip irrigation system and yearly hand shearing. Carl operates the farm with his longtime field manager Ray Bowermaster, Gift Shop manager Barbara Brown and his son Ben. His grandchildren help during the sales season, and he looks forward to the assistance of great-grandchildren in the coming years.